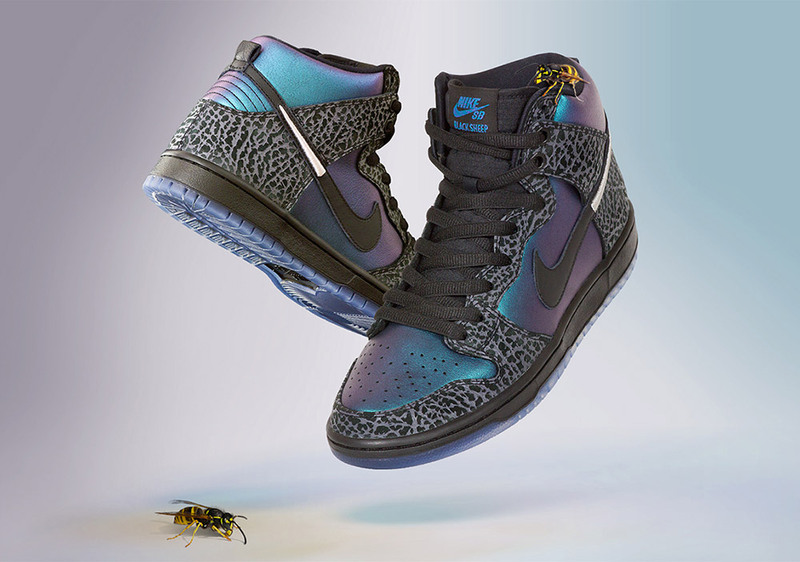 Charlotte-based skate shop Black Sheep and Nike SB just teamed up to create a Dunk High Pro in honor of the North Carolinian city’s home team, the Charlotte Hornets. See, back in the Revolutionary War, the city of Charlotte was described as a “hornet’s nest” of rebellion by one British General after he was driven out of the city by an angry mob of residents in what led to the first successful, if forced, Brexit ever. Needless to say, Charlotte takes pride in having been an integral part of the struggle for Independence, and that’s why they named their basketball team the Hornets. Today, the Charlotte Hornet’s teal and purple colors are commonly associated with the city despite the latter’s flag looking totally different. 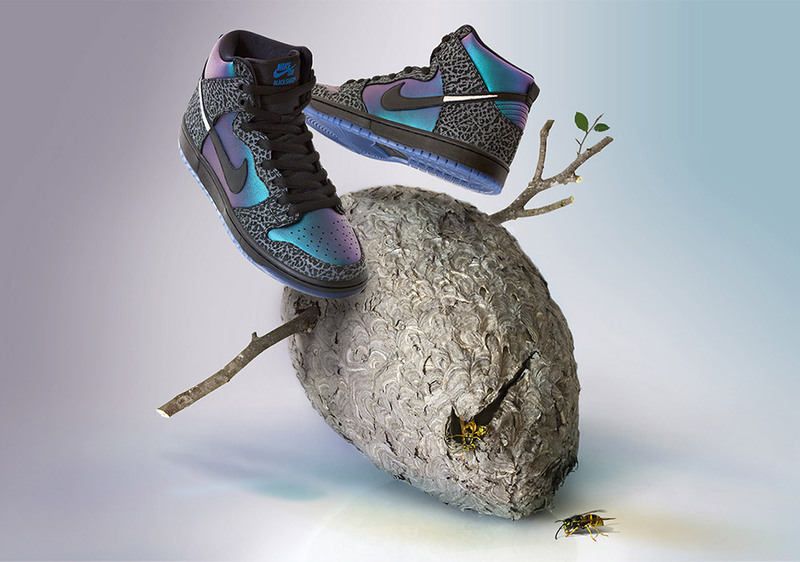 But that didn’t stop Nike SB and Black Sheep to create a decidedly 80’s looking Dunk High, complete with a shimmering upper reminiscent of the wings of a hornet. This striking pair of Dunks certainly belongs in any sneaker enthusiast’s collection, and if you happen to be a basketball fan, as well, then it’s practically a must-buy. You can buy the Nike SB x Black Sheep “Charlotte Hornets” Quickstrike from February 22. at 12:00 CET at our store, If sizes are left we will put them at 18:00 CET in our webshop. You can buy the Nike SB x Black Sheep „Charlotte Hornets“ Dunk at 12:00 CET at our shop in Frankfurt, all left sizes will be sold online at 18:00 CET.